Sydney, Sep 3, 2018 AEST (ABN Newswire) - The directors present their report, together with the financial statements, on the consolidated entity (referred to hereafter as the "group") consisting of The BetMakers Holdings Limited ( ASX:TBH) ( OTCMKTS:TPBTF) (referred to hereafter as the "company", "TBH" or '"parent entity") and the entities it controlled at the end of, or during, the year ended 30 June 2018. I am pleased to present the Annual Report for The BetMakers Holdings for the year ended June 30, 2018. This year has seen the transformation of the business back to the core principle of our existence with the launch of several internally-developed wagering products into the market. Utilising the TopBetta platform we were able to successfully demonstrate the significance of The BetMakers' platforms and products. The 'Wagering Platforms' performed well over this period and several features have been released in the previous 12 months to demonstrate leading technology, unique offerings and scalability to accommodate any small to medium-sized wagering operation. The Global Tote's successful launch in 2017/18 has seen it process more than $100million worth of bets since inception, again proving the scalability of our in-house technology. We have continued to develop these technologies and are now able to focus on a more scalable approach to the business and, with several key deals already announced to the market, we can now capitalise on the investment of our work to date. While taking our wholesale products and technology to the market over the past 12 months we spent a significant amount of money on marketing to ensure the successful roll-out and testing of these technologies. Approximately $5.3million was spent marketing through the year, which allowed the business to showcase the products and win acceptance in the market. On June 30, 2018, the company successfully sold its TopBetta and Mad Bookie assets for $6million, with $3million paid to date and a further $3million to be paid on or before September 30, 2018 as part of the deferred payment sale agreement. With the focus now on distribution of our products, platforms and technology, we have identified two key acquisition targets that operate precisely in this space and will further strengthen our product and service offerings both in the domestic and international markets. 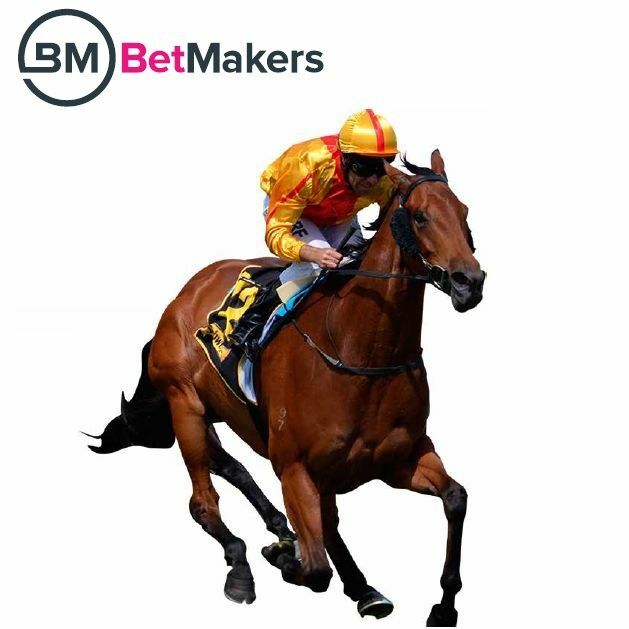 We have been pleased to be able to come to terms with both companies to acquire these businesses and bring them into The BetMakers' group of companies. We now believe we have the most innovative wagering technology and the most comprehensive distribution network to offer these products in Australia, and we are on target to expand this rapidly into the International markets throughout 2019. 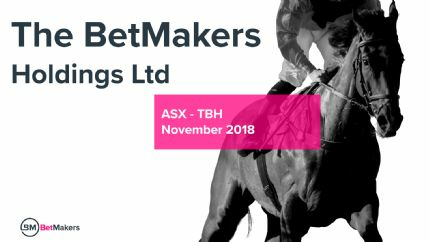 With the greater majority of Australian wagering operators already using at least some of The BetMakers group of company's products and services, we believe we are now integral in the Australian wagering landscape and about to leverage this combined group's extensive technology, products, service offerings and knowledge to be one of the most important and influential operations in the wagering world.